KIM Kardashian and Kanye West enjoy secret date nights at home. The couple, who have been living with the reality TV star's mother Kris Jenner in Calabasas, California since welcoming their daughter, North, into the world in June 2013, reportedly hate being apart since tying the knot in May and try to spend as much time as possible together, even though the 37-year-old rapper is currently focusing on recording his upcoming album. A source told PEOPLE magazine: "They wish they could be together all the time. 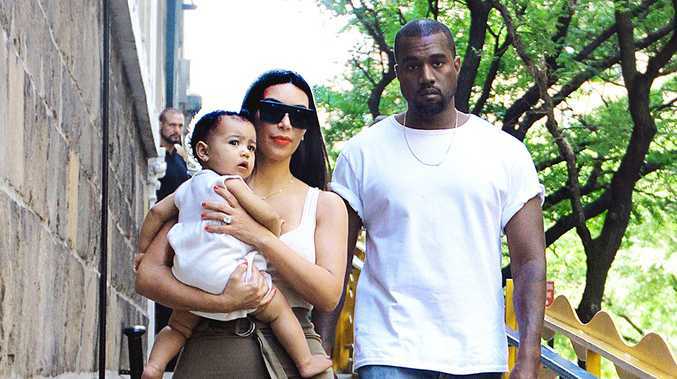 "Kanye flies back to see his family every time he can get away, even if only for a night. They see each other a lot more than people realise - they just don't feel the need to publicise it every time." The insider added: "They really enjoy spending time at home. They watch movies together, play in the nursery ... go for walks around the neighbourhood." The 'New Slaves' hitmaker, 37, was rumoured to have asked Kim, 33, to put their plans to have a second child on hold so he can concentrate on his career, but the source insists: "They both want more kids. That'll probably happen sooner than later."